With talk of moderating drinking & drug use, isn’t it Harm Reduction? Because you guys talk about moderating drinking, and moderate drug use, it makes you sound a lot like Harm Reduction. Is it the same thing? This exercise shouldn’t be confused with “harm reduction,” which is an approach to helping people with substance use problems that has recently become popular. While well intentioned, help that comes under the banner of harm reduction often comes with the assumption that people are incapable of fully stopping so the best that can be done is to reduce the harms of substance use for those poor, unfortunate, addicted souls. Of course, this is false, and we want to be clear on that point. 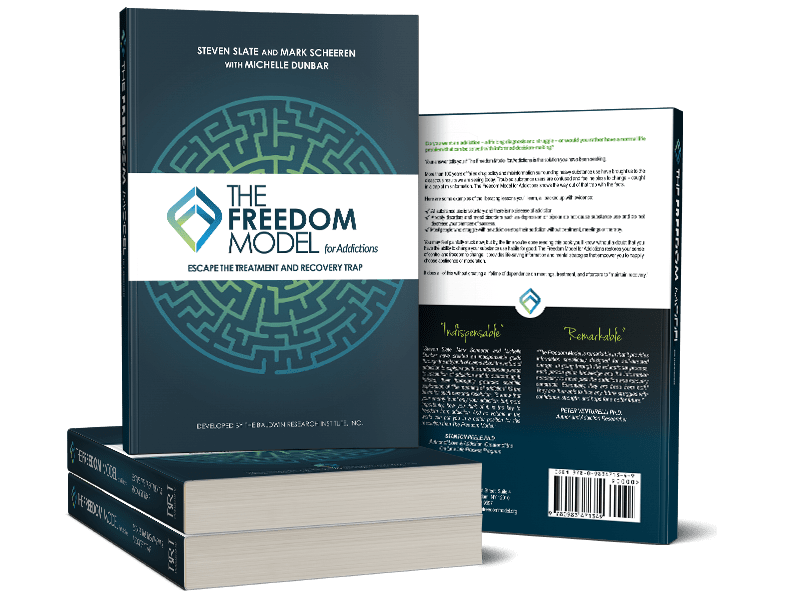 All options, including stopping altogether, are possible in The Freedom Model. No option is more difficult than any other whether that be adjusting your use or abstaining. From The Freedom Model standpoint, no one is truly addicted (addicted meaning enslaved to continue to desire and use substances), so everyone, from the “highly functional alcoholic” to the homeless man at the bus station begging for money to get more crack, is equally capable of fully quitting or adjusting his or her use. Remember this truth because it makes this an exercise in imagining happier options rather than simply reducing harms. There is a motivational difference in these competing frames. We advocate moving forward based on the benefits of various options without fear involved, whereas harm reduction implies that addiction is a real thing that must be fought.